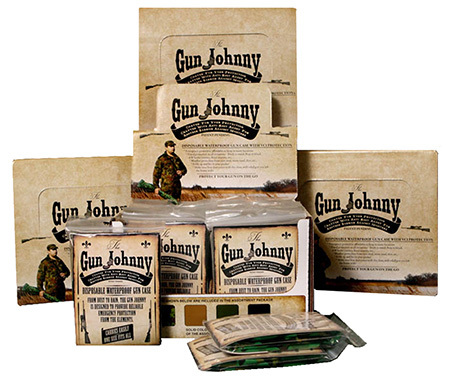 Gun Johnny GJ006 Disposable Waterproof Gun Bag Treated Plastic 12x70 in. Asst 24 in. Gun Johnny GJ231 Disposable Waterproof Gun Bag Treated Plastic 12x70 in. Camo in. Gun Johnny GJ248 Disposable Waterproof Gun Bag Treated Plastic 12x70 in. Green in. Gun Johnny GJ255 Disposable Waterproof Gun Bag Treated Plastic 12x70 in. Tan in. Gun Johnny GJ262 Disposable Waterproof Gun Bag Treated Plastic 12x70 in. Black in.